File this one under wholesome, healthy, maybe even spiritually uplifting events you can attend for free on a summer’s afternoon. 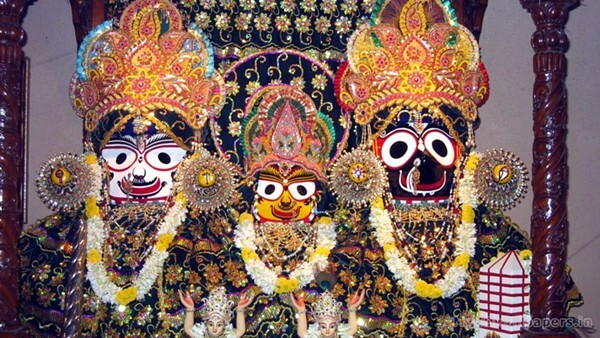 Ratha Yatra (or the Festival of Chariots) is a huge deal for Hindus in east India. This massive celebration of a group of deities, representations of which are hoisted and paraded on wooden chariots, draws more than a million pilgrims to the region each year. 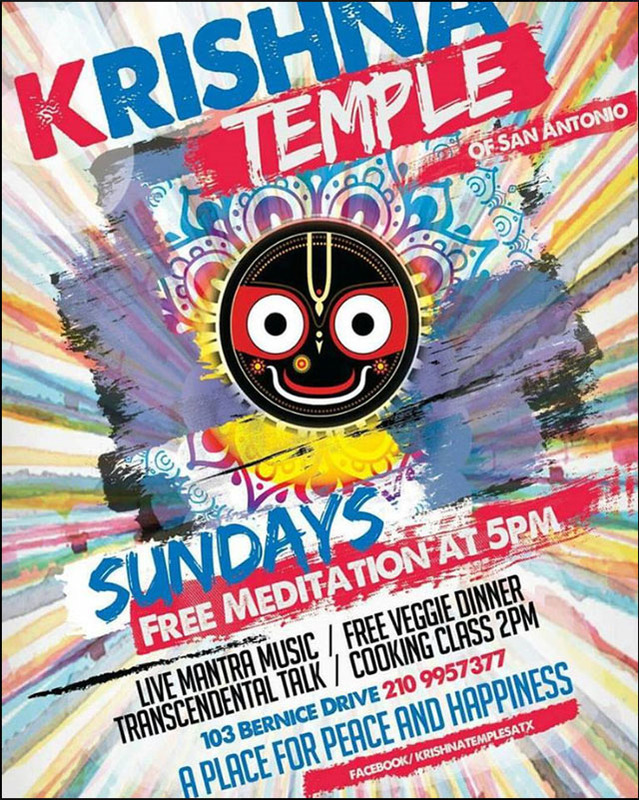 In our neck of the woods, you can celebrate the occasion or simply seek some peace at our local answer to Ratha Yatra, hosted by Krishna Temple of San Antonio. The all-ages event will feature live music, dance performances, dramatic interpretations, yoga, guest speakers, guided meditation, local art, crafts, holistic vendors and a free five-course vegetarian dinner. If you ask us, this seems like the perfect low-stakes opportunity to take another stab at getting your vibrations right. 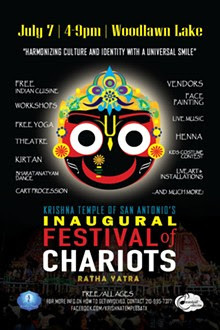 Free, Sat July 7, 4-9pm, Woodlawn Lake Park, 1103 Cincinnati Ave., (210) 995-7377, www.krishnasatx.com. When: Sat., July 7, 4-9 p.m.